Hey there, y’all. I’ve noticed for a while that loneliness is a common theme on here, and there are many younger users (usually 18-30) who feel they do not have many people to go to in real life. 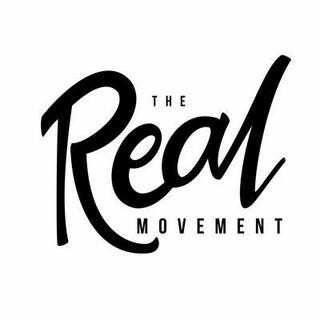 With that being said, I figured now was a good opportunity to discuss something I attend called The Real Movement. The Real Movement has four different locations (it’s only in Georgia): Kennesaw, Atlanta, Athens, and Milledgeville. Kennesaw caters to KSU, Atlanta caters to GSU and GT, Athens caters to UGA, and Milledgeville caters to GCSU. Unlike most on-campus groups, which are usually Christian and only consist of students from those colleges, The Real Movement, better known as TRM, is a social gathering (called a “hangout”) for young adults to come and meet each other. There is a Christian origin to it, but Christianity is purposely not emphasized. These hangouts occur once a week at 7:30, allowing college students and full-time workers to come together after their days are done. After some time is given to meet other people, you’re encouraged to get in a small group with people you’ve never met. There are questions pertaining to a certain theme that the people in your group answer. For instance, the questions this past Thursday involved conversations with other people. They were like “Is your small talk ‘what’s the weather like’ or ‘what’s your biggest fear’?” and “What’s your go-to response when someone asks how you’re doing?” You’re given a lot of time to answer these questions. As a result, you can take time to learn more about the people in your small group after y’all answer the questions. Rather than learning about the basics of people and nothing else, these questions allow you to see another side of people. The hangout I went to recently was the KSU one, since I live near there. My group consisted of people my age still in school and people in their mid-20's with full-time jobs. It was a great group. Though I sometimes wonder if these are people I’ll build lasting relationships with, I’m glad this opportunity is here, and I wish this concept spread to places outside of Georgia. If there are gatherings similar to TRM near you, I encourage you to try them out. If you want to learn more about TRM, please visit their website or their Instagram. Which Cars Have Keyless Access on Every Door?